Is it date night? What-to-do-with-the-things-I-have-in-my-fridge night? Whether you’re looking for everyday dishes, special-occasion feasts, or planning the month’s meals, these apps have the inspiration and instructions you need. Whittle down Yummly’s vast recipe catalog with diet, allergy, and ingredient preferences, plus filters like nutrition requirements, cook time, and taste profile. Then, save and organize your favorites in a digital recipe box. The recipes are sourced from all over the web, so styles may vary. If you like Buzzfeed’s signature fast-motion recipe videos, this is your app. With step-by-step mode, you'll see written instructions paired with short video loops, and your phone will stay awake as you cook. Making crunchy jalapeño taco poppers and rainbow crepe cake has never been easier. SideChef’s sweet spot is instructions, best followed in the full-screen, landscape cooking mode – replete with preset timers and video tutorials. Polished recipes, informative ingredient “wikis,” and a serving size calculator don't hurt, either. You can use recipes to build shopping lists, and order groceries through Amazon Fresh. 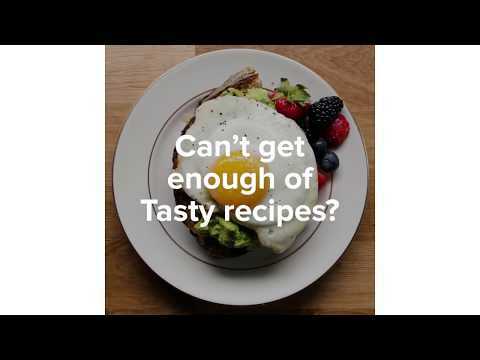 You’ll find a mix of seasonally focused recipes, editorial articles, and bite-size videos on this elegant app. A shopping list, timer, and measurement converter help simplify the cooking experience from start to finish. Filter recipes by occasion (loosely interpreted to include “prepare-ahead” and “finger-food”), diet, and more. Tap into a world of home chefs’ recipes with this interactive app. Dishes often feature “Cooksnaps” – captioned images from users who made that dish. You can even talk to other cooks in private or group chats. The photos aren’t always the sharpest, but we consider it part of the homegrown appeal.